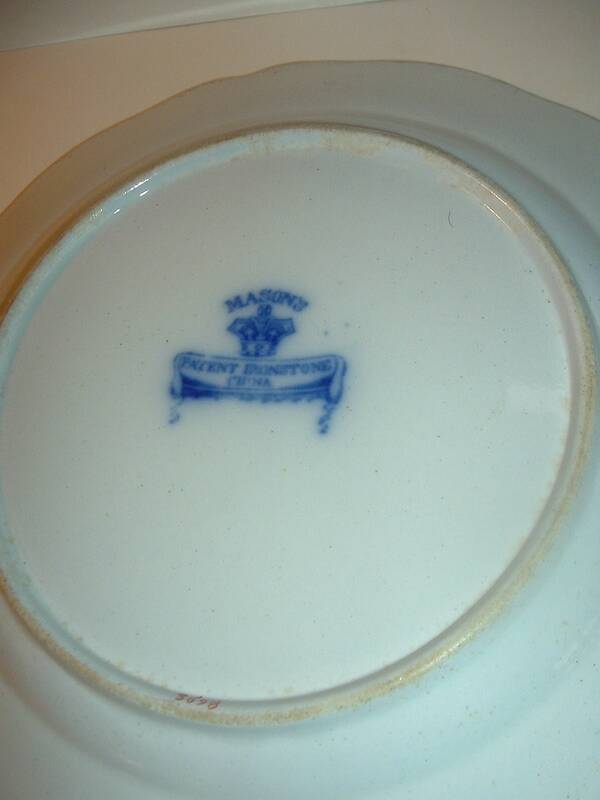 This old Masons flow blue ironstone plate measures approx. 8 7/8" across. There are no chips or cracks. 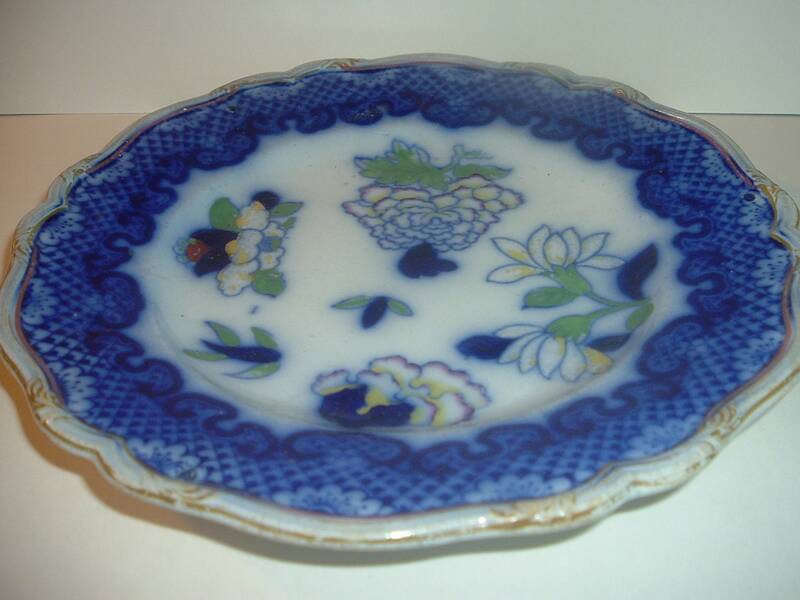 I do see light surface scratching in the middle of the plate. 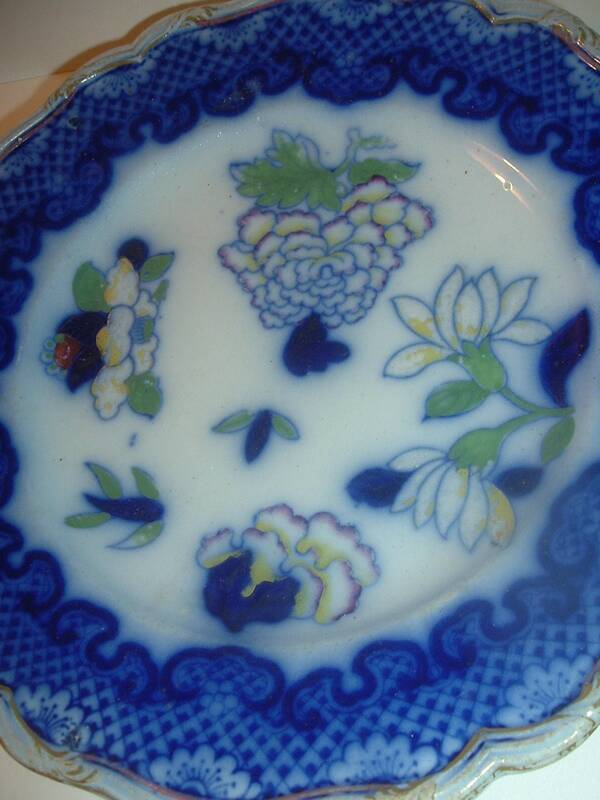 I notice some paint wear to the yellow paint on the flower petals. I also notice some gold trim wear. 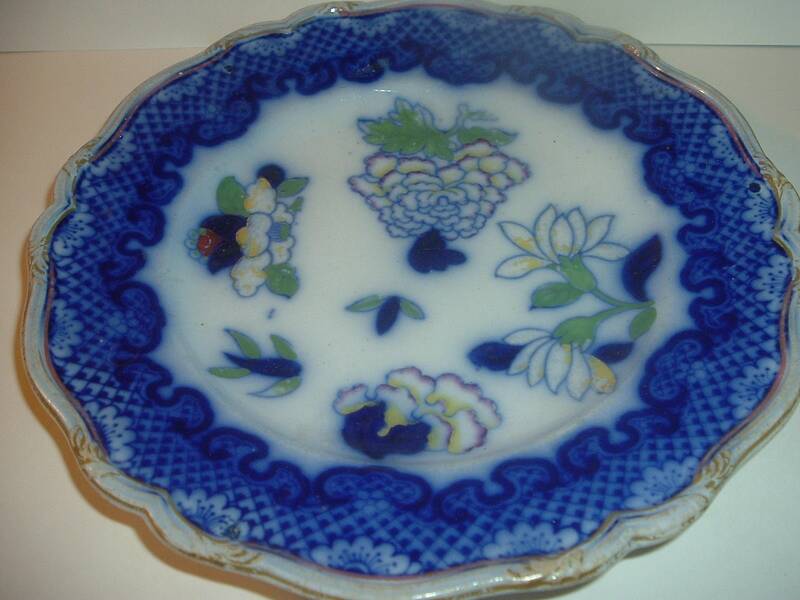 The blue bleeds on the top side of the plate, as you would expect of flow blue. The backside doesn't have the bleeding that the top side does. 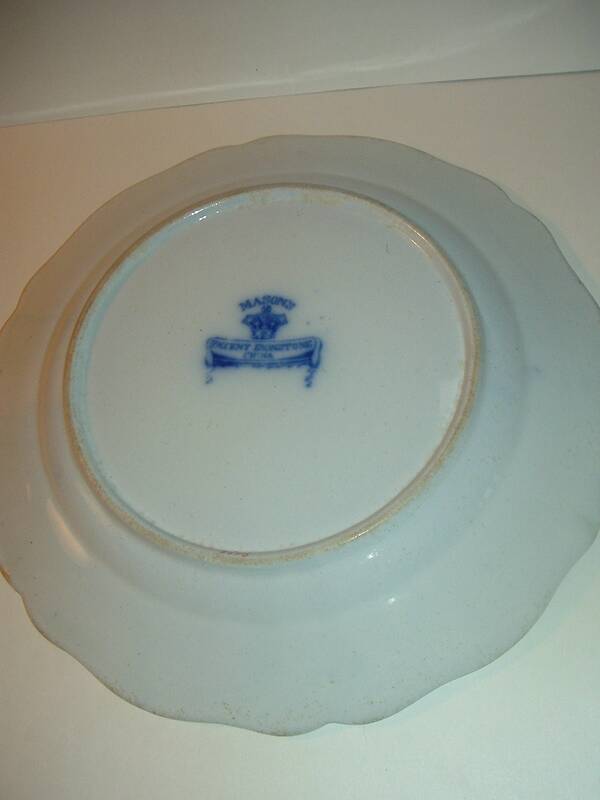 This may be because it is a heavy ironstone. The Masons mark is on the backside. I gladly combine shipping.